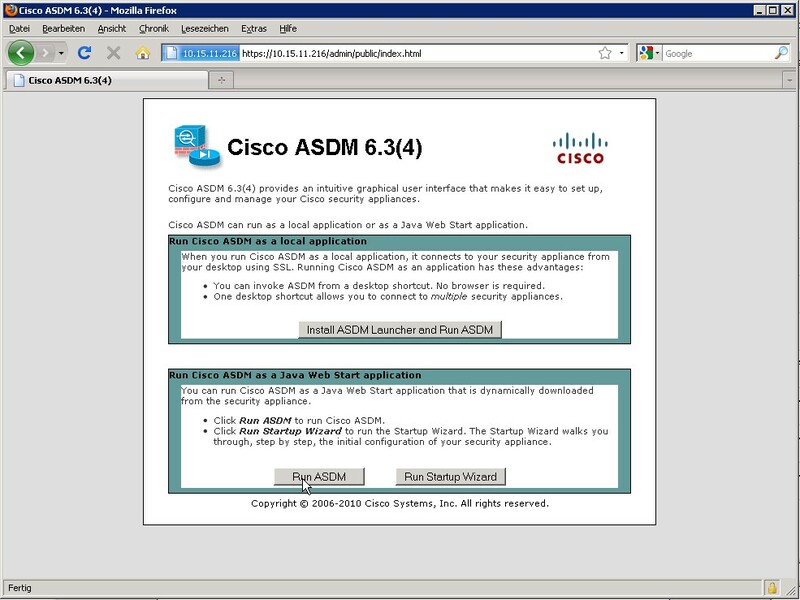 Cisco has a nice GUI, called Adaptive Security Device Manager (ASDM), for configuring and monitoring ASA devices. 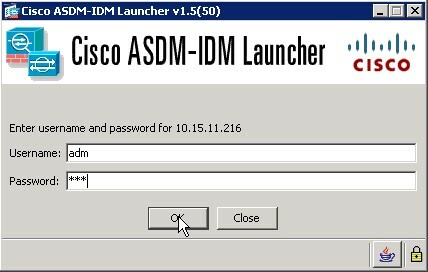 But first of all you have to do some configuration to prepare your ASA for ASDM access. After that you can open your browser and enter the URL https://<ASA ip>. 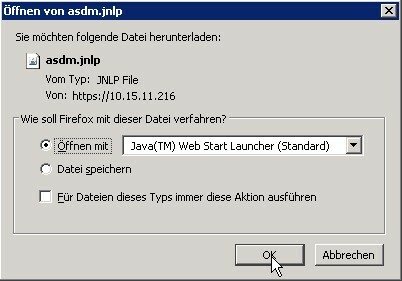 You can choose, of you like to install the launcher to your PC, run it directly or start an Installation wizard. 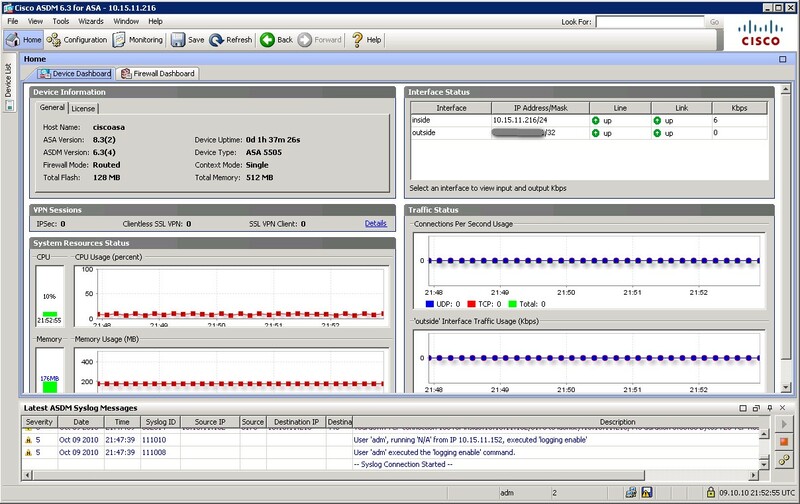 I decided to run it directly from the router and executed the .jnlp-file. 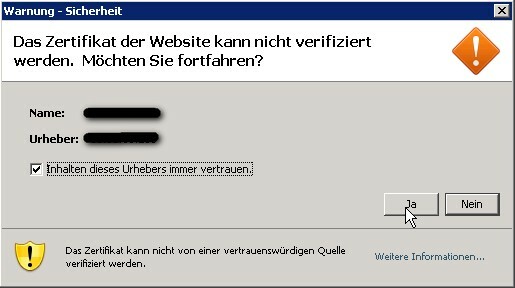 Accept the unsigned certificate from the router and enter you login data. If you used the template above, you have to enter user adm with password ccc.